Welcome to grade six! Hello, my name is Ms. Corinne Carpenter, and I would like to take this opportunity to introduce myself to you. I am the homeroom teacher for 6-1 this year. I will be teaching your child Math and Science. I will also be teaching Math and Science to 6-2. I am also a Learning Support teacher for students in grade 5. I am excited for the school year ahead!! 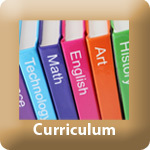 For the classes I teach, I generally try to give the students as much class time to complete assignments as possible. However, as the due date approaches, your child may have some finishing up to do at home. If students are using their class time wisely, there should not be much homework assigned. 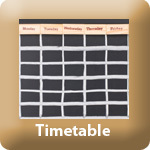 I give a fair amount of notice for due dates so students have ample time to prepare given their busy schedules. Please have your child speak with me regarding conflicts prior to the due date, if necessary. 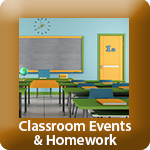 I will post major assignments, projects, test and quiz dates on the calendar on my teacher page. I do my best to add new dates and daily homework to the calendar at the end of each teaching day. I also have a homework board in the classroom with all dates posted. In addition, most weeks I will send an email home at the end of the week to highlight important dates for the following week. My expectation is that your child will use some form of an agenda, either print or digital, to record due dates. I do not sign agendas in grade 6; however, there is time to complete the agenda at the end of each day during the homeroom period. I post copies of assignments, projects, textbook pages, lesson sheets, etc. on the school website on my teacher page under the curriculum tab in the appropriate subject folder. If your child is away for any reason, all of the work they usually require is included in the subject folders. With regards to PowerSchool, I update my marks regularly depending on when I have marks to enter. Please check PowerSchool as to your child’s progress. Grade six is an important year in terms of developing good study habits. If students do not have assigned homework for the evening, they should be spending 15 – 20 minutes reviewing material covered in a subject area. The vocabulary in science and math can be challenging. Regular review for short periods of time throughout the year will be extremely beneficial to your child at the end of the year when writing the Provincial Achievement Tests. I also encourage you to have your child share their class work with you on a regular basis. If you have any questions or comments, please do not hesitate to contact me. The best way to reach me is through email at ccarpenter@rockyview.ab.ca. You can also connect with me via your child’s agenda, a note or by phone at 242-4456 ext. 6462. I am really looking forward to working with you and your child this year.